Harold Lindsay is a G.I.A. Graduate Gemologist with over thirty six years as a fine jewelry and gemstone appraiser. He is an Accredited Senior Appraiser member of the American Society of Appraisers. Known as the ‘The Diamond Expert’, Harold Lindsay is the master appraiser of mounted diamond rings, loose diamonds, karat gold jewelry and coloured gemstones. He helps individuals, families, jewelry, and insurance and legal industry members in British Columbia verify the quality and assess value for multiple purposes. Harold’s is the singular holder in Canada of the American Society of Appraiser’s Master Gemologist Appraiser® designation. This gold standard credential in gems and jewelry appraisal requires recertification every five years and a rigorous practical gemological examination. This accreditation and his reputation for reliable valuations guarantee that his reports are accepted by insurers. Clients have relied on his expertise since 1987 in British Columbia for their estate, investment or probate valuations. Harold’s lifelong passion led him from keen collector of gems and minerals to jewelry designer. He sought opportunity to learn directly from prestigious dealers in fine jewelry from the master goldsmiths at Henry Birks Jewellers in Montreal to as far away as Hong Kong. To better serve his clients at the highest level of appraisal professionalism, Harold invested deeply and dedicated years to mastering the science and the art of fine jewelry and gemstone appraisals. His certification in jewelry design, diamond grading, coloured stones and gem identification began in 1979. Harold earned his Graduate Gemologist diploma while in residence at the famed Gemological Institute of America (GIA) Santa Monica campus. Harold went on to attend the Register Master Appraiser program at the Vancouver Vocational College (2010). As a member of the prestigious American Society of Appraisers (2014) he completed all of the A.S.A. requisite courses and exams and attained the Accredited Senior Appraiser and Master Gemologist Appraiser® designation. 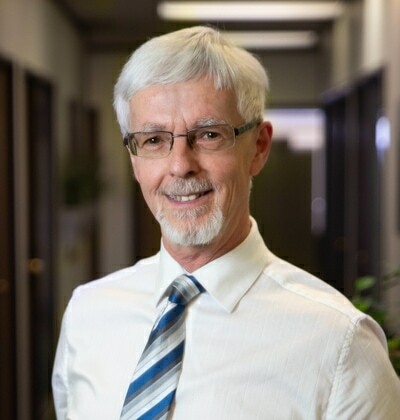 He is a accredited senior member of the American Society of Appraisers, the Canadian Jewellers Association and one of the very few in Western Canada to be a Certified Appraisal Professional (CAP). Even as British Columbia’s most trusted master appraiser, Harold continues to attend international events and to maintain contacts worldwide so that he can serve his clients with the most up to date information and technology. Sign up for the IGL newsletter here to learn more about the world of jewelry and the origins of your gems around the world through the expertise and experiences Harold shares.